If there is one place that countries can get the best bang for their carbon buck it’s looking to their own fiscal incentives: reforming government subsidies to fossil fuels and taxing them properly. The resulting savings can then be redistributed into incentivizing sustainable energy and to communities and sections of society affected by rising fuel prices and loss of jobs. Research has found that governments could save and average of USD 93 per tonne of carbon abated through fossil fuel subsidy reform and could generate a whole lot more revenue if carbon fuels and energy were taxed appropriately to account for ill health and climate damage. Greenhouse gas emissions reductions would be significant too—around a quarter of the current country effort committed toward Paris through one fiscal instrument. 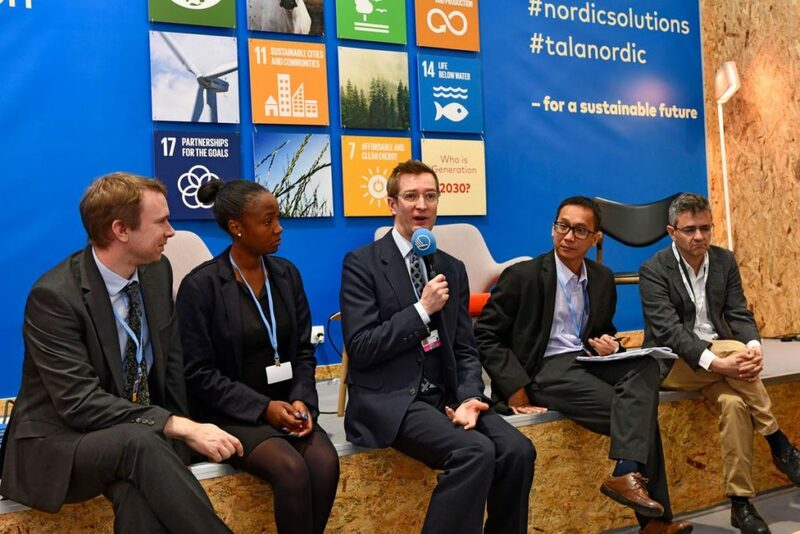 Many countries are leading the way and along with the private sector: several organizations shared stories and actions for success at the recent United Nations climate change talks in Katowice, Poland. 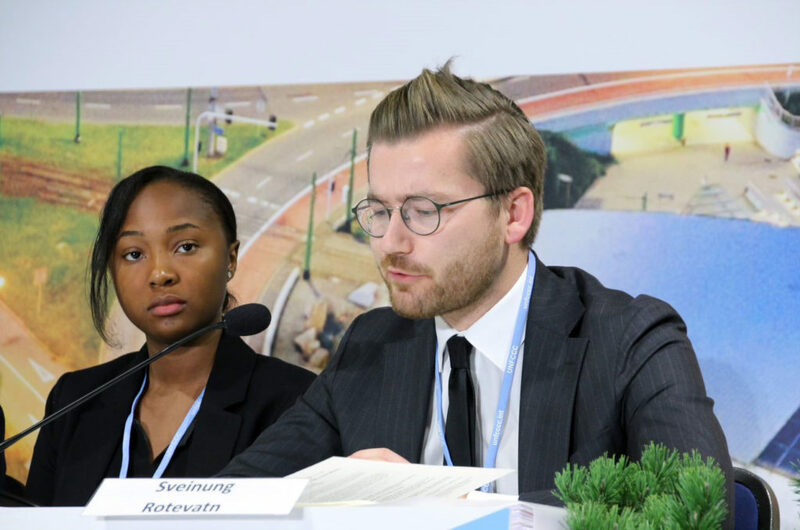 These groups included the Friends of Fossil Fuel Subsidy Reform, the Nordic Council of Ministers and the Global Subsidies Initiative (GSI) of the International Institute for Sustainable Development (IISD). Countries that were able to highlight successful stories and opportunities for change included Argentina, Costa Rica, Denmark, Ethiopia, Finland, India, Indonesia, Italy, New Zealand, Norway, Sweden, Switzerland and Zambia. On December 11, the Friends of Fossil Fuel Subsidy Reform launched a Network for action on fossil fuel subsidy reform. Countries having previously come together virtually throughout 2018 to share stories for success on themes including peer review, communicating subsidy reforms, subsidy swaps for sustainable energy, investment in a just transition and mitigation measures via cash transfers. A brochure accompanied the launch and outlined the lessons shared across the Network in 2018 and how more countries can get involved with the Network in the future. Marc Chardonnens of Switzerland said “We must learn from each other’s successes to enable smooth changes and reforms toward adequate pricing of fossil fuels.” Kimmo Tiilikainen, Finland said “These subsidies take us in the opposite direction of the Paris Agreement.” Francesco La Camera of Italy (incoming Director General of IRENA) explained that “When we talk about reform … there are the environmental and social aspects that are to be considered at the same time if we want to succeed.” Kangwa Muyunda from Consumer Unity & Trust Society (CUTS) International, Zambia explained that in a country where energy access is low “the cost of subsidizing the system is a barrier to energy access.” Sveinung Rotevatn, Norway explained that “unfortunately, we are not on track to reach either 1.5 degrees nor 2 degrees at the moment and while this is happening, we are spending USD 400 billion on fossil fuel subsidies.” He noted that “The group has been instrumental in bringing forward strong arguments for why subsidy reform is necessary.” Stephanie Lee of New Zealand chaired the conference and explained that having lived in Indonesia she understood that “the Indonesian story is a brave one.” Rachmat Witoelar, Indonesia then explained the practical steps that Indonesia took to save USD 15 billion from reforms in 2015. 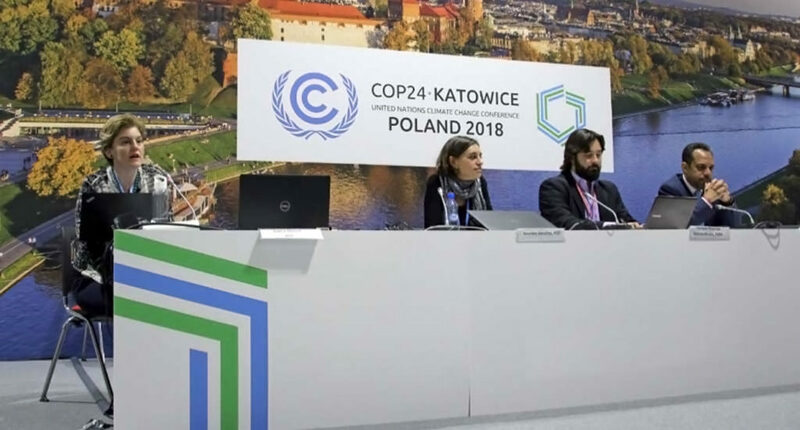 On December 7, a side event organized by the GSI of the IISD with the Fundación Ambiente y Recursos Naturales (FARN) talked about the benefits of reforming fossil fuel subsidies. The event discussed successful reform examples from different countries around the globe and presented a new report about success stories of fossil fuel subsidy reform and taxation across the G20. Lourdes Sanchez (IISD) reported how Indonesia significantly increased public investment in programs to boost growth and reduce poverty, including infrastructure and social support for the vulnerable, after reforming diesel and gasoline subsidies in 2015—which saved the government USD 15 billion a year. CEEW’s Arunabha Ghosh discussed the effects of the current shifting of subsidies to fossil fuel toward renewables in India. This shift has facilitated access to electricity and clean cooking fuels for tens of millions of Indians—notably the poor and vulnerable. Enrique Maurtua of Argentina’s FARN concluded the event with a presentation on the evolution of fossil fuel subsidies in Argentina following the major subsidy reforms that the country has undertaken in the past couple of years. The reform of incentives to oil producers in that country saved at least USD 780 million in 2017 in public finance. These and other stories presented in the new report show that reform is possible and has significant related benefits. There are challenges, but during times of higher oil price, when oil prices increase it is important that countries stay on course with reforms and put in place compensation measures for the vulnerable. 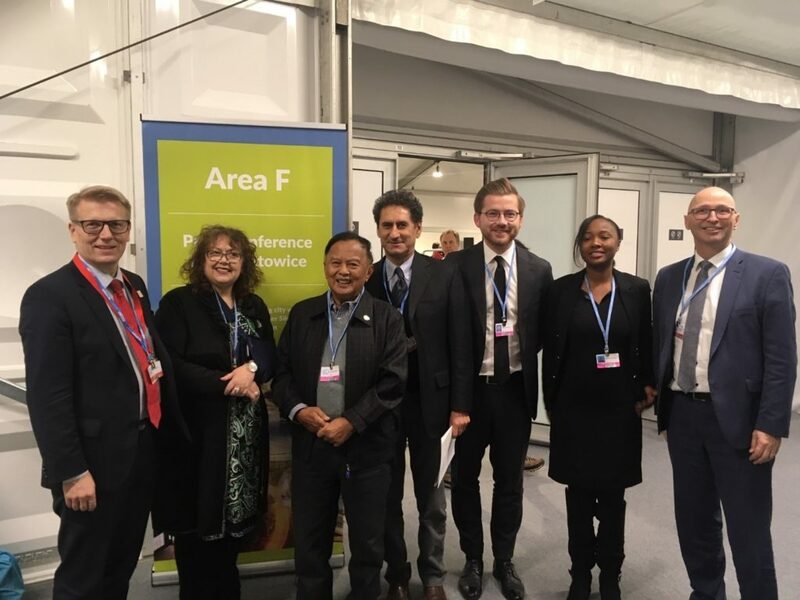 On December 10th a side event organized by IISD/GSI with support of the Nordic Council of Ministers took place at the Nordic Pavilion. Participants included: Hannele Pokka, Permanent Secretary, Ministry of the Environment, Finland; Richard Bridle and Laura Merrill, IISD/GSI; Kangwa Muyunda, CUTS Lusaka; Astrid Knutsen Hårstad, Political adviser, Ministry of Climate and the Environment Norway; Oras Tynkkynen, SITRA; Eka Hendra Permana, Fiscal Policy Agency, Indonesia; and Gonzalo Sáenz de Miera, Director of Climate Change, Iberdrola. The event provided an opportunity to learn about the impact of government subsidies from a private sector energy company perspective, as well as about active reforms from a country-level perspective (Indonesia and Zambia) and to learn more about opportunities for countries to implement swaps and thus move away from government subsidies for fossil fuels and toward sustainable energy and transport. The event launched the latest report from the Nordic Council of Ministers on this issue with a focus on the business model and concept of swaps, including a detailed roadmap with Zambia and potential for action in Morocco. From left to right Laura Merrill and Lourdes Sanchez, GSI/IISD; Enrique Maurtua, FARN; and Dr. Arunabha Ghosh, CEEW. Elsewhere within the CoP the financial sector called for the phase out of fossil fuel subsidies by set deadlines, signed by 415 investor signatories with well over USD 32 trillion in assets. The issue of FFSR was also echoed in other publications including the UNE 2018 Emissions Gap Report and 2018 Brown to Green report. 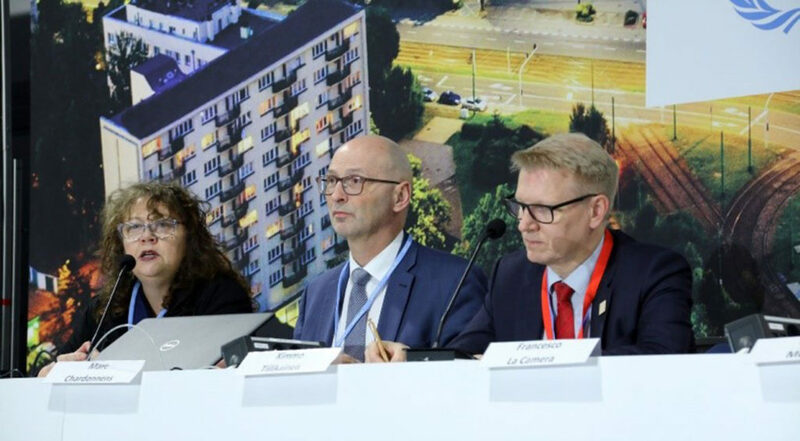 Despite difficulties within the negotiations from some Parties, coalitions of the willing are forming to translate the Paris Agreement into action on the ground and between countries via peer to peer support and encouragement. What this means for true multilateral and international action and institutions, across the board, is unclear. Agreement was reached in Katowice, but in terms of early action, ambition and advantage such first mover country groupings of the willing (like the Friends of Fossil Fuel Subsidy Reform and others), will be key to success.